formulate a comprehensive and integrated community approach to enhance and maximize this true community asset. The Economic Alliance of Kankakee County and the Community Foundation of the Kankakee River Valley initiated the River Roundtable and served as co-conveners for this effort. This committee is comprised of volunteer community residents interested in a wide array of issues concerning the Kankakee River. The Roundtable includes elected and governmental officials, riverfront property owners, environmental stewards, developers, and recreation enthusiasts, among others. It is believed the name of the Kankakee River was influenced by Native Americans, particularly the Pottawatomi Indians who were the first to inhabit the region. 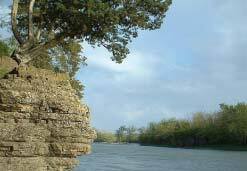 During the early 1800's the settlement of Northeast Illinois and Northweast Indiana oriented along the Kankakee River. 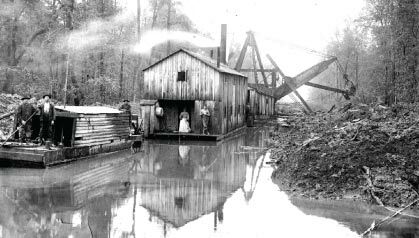 As man blended with nature and established homesteads and farms, the development of river towns ensued as centers for shipping and travel between the local population and the remainder of the country. Following the incorporation of railroads into the scenery, the Kankakee River lost its importance as a transportation system. Over the later half of the 19th century, man became more determined to conquer the natural aspects of the Grand Kankakee Marsh. With the low lying river and wetland areas experiencing low flows during dry periods and the breach of its banks during heavy rains, two different solutions occurred on each side of the Illinois-Indiana border. In Illinois, several dams were constructed to utilize the river as a potable water supply. In contrast in Indiana, the river was treated as a major drainage system to create more farmland through the man-made dredging and channelization of this meandering waterway. Prior to 1852, the Grand Kankakee Marsh was the largest wetland area in North America (larger than the Florida Everglades). From 1852 to 1919, the Kankakee Grand Marsh was drained and the Kankakee River was channelized in Indiana. What was originally 250 miles of meandering stream with 2,000 bends in Indiana was reduced to a 90 mile man-made channel. The Kankakee River flows for 60 miles in its original, natural meandering state downstream in Illinois. The Kankakee River supplies water for over 80,000 residents in Kankakee County. The Kankakee River continues to hold its importance in Kankakee County as the predominant source of water supply and treatment in the region. The ability for the area to continue to thrive and grow rests upon the river's capacity to continue to function in this manner. Thus, the Kankakee River is the major element in economic and community development for the present as well as the future. In addition, the Kankakee River provides the enjoyment of the natural environment in the form of recreational activities such as fishing, boating, water skiing, canoeing, and swimming. The beauty of the river extends from the Momence wetlands on the east end of Kankakee County, to the Kankakee River State Park to the west, and all points between. In Kankakee County, people have learned to collaborate with nature by appreciating and respecting this natural resource. Unfortunately, the story east of Kankakee County and the Illinois State line has not been positive. The channelization of the Kankakee River has proven to be problematic. The acceleration of the natural drainage system has brought sand and sedimentation loads into Illinois shifting and settling into the basin of the river. The subsequent reduction of the capacity of the river in Kankakee County results in a higher risk of flooding, a threat to our potable water supply, and the degradation of natural resources and habitat. With many supporting studies by state and national agencies detailing the problems, corrective solutions to this man-made problem are difficult to achieve due to interests which support the continuation of the channelization. If corrective work is performed to resolve the sand and sedimentation effects in the Kankakee River, the future is bright for Kankakee County as well as for Indiana. The economic and community development capabilities will be reinforced for continuing high quality of life for the area with one of the best water supplies in the Midwest. 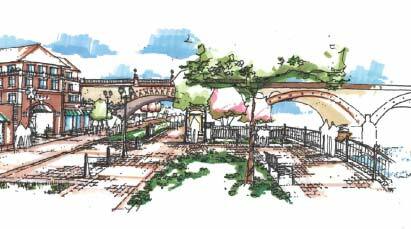 The possibilities for tourism are endless with the development of a river walk district, expanded recreational activities, lodges and visitors facilities. The right blend of environmental and agricultural practices will give Kankakee County residents the river from which they can benefit. 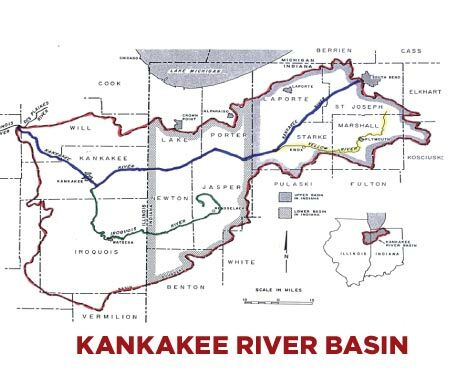 Learn about the values and benefits of the Kankakee River and its importance to your life as well as the threats it is facing. Inform others of the threats facing this valuable resource. Get involved in organizations and programs that endeavor to protect, restore or enhance the Kankakee River. Be good stewards and respect the Kankakee River System by not littering or improperly disposing of debris or chemicals, addressing erosion on your property, and understanding that all drains end up in the river system. 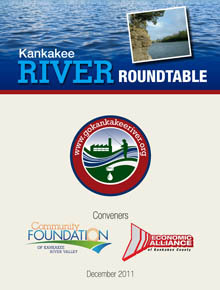 Encourage local, county, state and federal government officials to help address the issues threatening the Kankakee River.